The Alcatel OneTouch Scribe Easy is a 5-incher with a stylus and MagicFlip cover. The magnetic MagicFlip is a cover that serves both purposes - carrying the stylus, and protecting the screen from scratches. There's a 5" display with paltry WVGA resolution, a dual-core 1.2 GHz processor, 512 MB of RAM, 4 GB of internal memory plus microSD slot, and a 5 MP camera on the back. 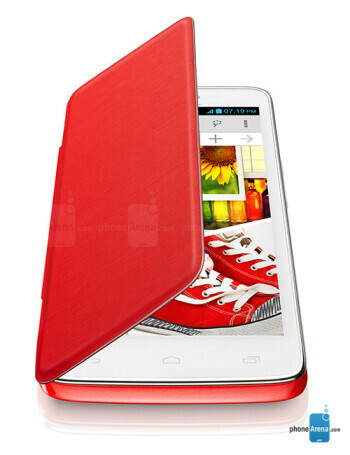 The OneTouch Scribe Easy runs Android 4.1.2 Jelly Bean.